Last week BUDSS (Birmingham University Dental Students Society) had the pleasure of welcoming the new 2012 intake of Hygiene & Therapy and Dental students to Birmingham Dental Hospital! At the start of the week while all those in student halls explored and got more acquainted with the Guild and Birmingham – the city which will be home to them for the next five years, we hosted a ‘Home Students Forum’. All those from the Midlands living at home or in private accommodation, met with staff and with BUDSS reps who had also been home students as freshers, for hints and tips about how to get involved and make the most of student life whilst studying from home. On Tuesday ‘Welcome Week’ really got going, as reps met students at their halls and guided them to BDH for the year group photograph. The only year group photo that will be taken between now and graduation! With Social Secretary Patrick losing the students somewhere around the Wesleyan building, his own personal addition to the welcome week schedule, before the students were officially welcomed by Heads of School, Prof Lumley, Mrs Inman and Dr Shelton. 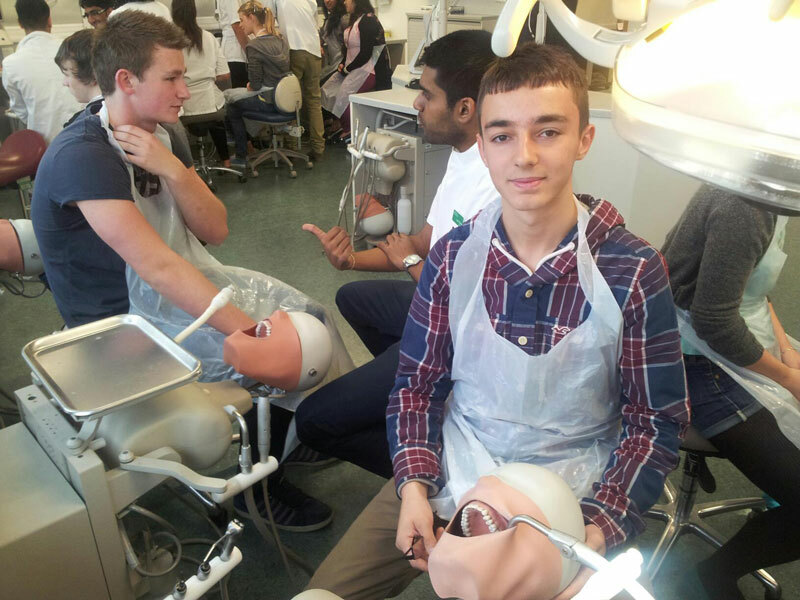 Later in the week our new students got their first introduction to the clinical skills lab with Mr Patel, with students showing them the phantom heads – giving BDS1 their first opportunity to play dentist. Followed by the pleasure of the company of Mr T. and Mr B. who bestowed all the myths, rumours and legends of BDH to the first years. The week concluded with the Dental Freshers Fair – our thanks to BUDSS sponsor’s Wesleyan, DDU, Dental Protection, Integrated Dental Holdings, MedDen, Glaxo Smith Kline, and the BDA for gifting many freebies to the first years. Following the fair was pizza and a special mix of “Patrick’s Punch”, and the final chance for the freshers to mingle before the weekend. After which all the hard work begins! Welcome freshers! Its nice to have you on board! Mr Thomas is full flow in the laboratory.